Basket Full Of Dragons. A Tribute to Robbie Basho Vol II released July 5th 2016. In Robbie Basho’s lifetime he set out to champion the steel string guitar as an expressive and dignified concert instrument. His guitar playing was first brought to light in 1965, when John Fahey released Basho’s debut The Seal of the Blue Lotus on Fahey’s own Takoma Records. Armed with a unique and powerful singing voice, his 6 & 12 string guitar and a collection of special guitar tunings that he created (even originating a unique chart titled ”The Esoteric Doctrine of Color and Mood” denoting a color and mood for each of his special tunings). Basho’s output was prodigious, but after three decades of recordings and touring, this unique American musical voice went largely unnoticed and in 1986 his voice was forever silenced by a tragic accident. Basho’s music which displays an intense passion for different cultures from around the world, was heavily influenced by Japanese (his self-chosen last name was even inspired by the Japanese haiku poet Matsuo Basho), Persian, Classical Indian, and a culture much closer to home: Native Americans. Forty-five years later, his recording legacy displays an emotional depth and pure vision that few musicians have ever achieved, and now his music is influencing a whole new generation of acoustic musicians around the world. 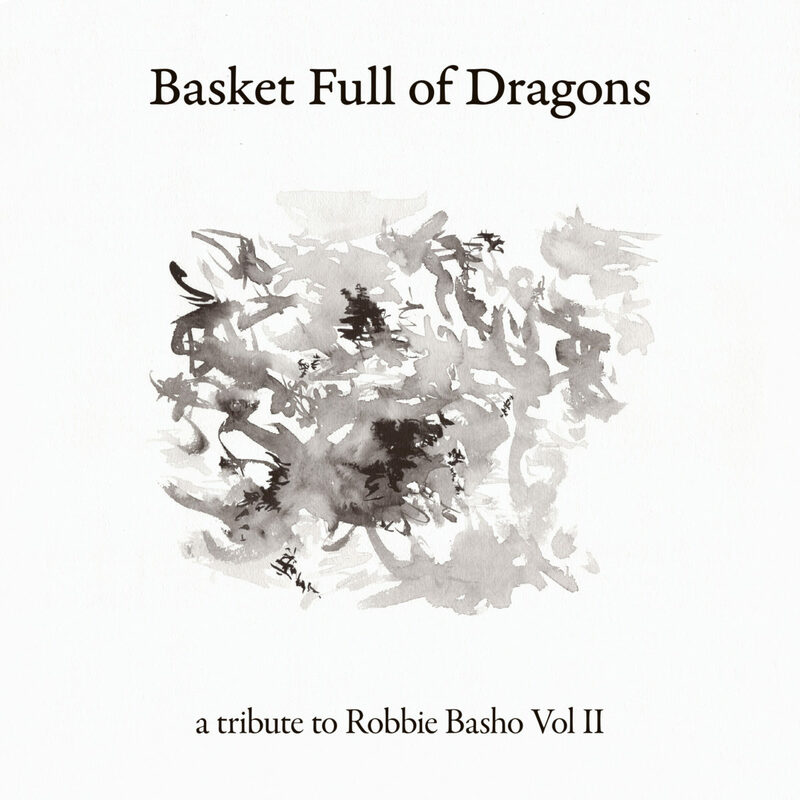 Basket Full of Dragons is a collection of both original compositions and new interpretations of Robbie Basho songs, and is the second volume to pay tribute to Robbie Basho, following the critically acclaimed first tribute: We are All One, In the Sun (2010 Important Records). 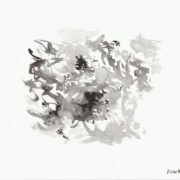 Both volumes, curated and produced by musician Buck Curran (best known for his work as guitarist-singer-songwriter of the Psych Folk duo Arborea) represent a collaborative labor of love from an international lineup of artists and pays humble tribute to this truly original and passionate American guitarist, musician and composer. As with the first tribute, this second volume includes a contribution by German guitarist and painter Steffen Basho-Junghans, who has devoted decades to composing guitar music in the spirit of Robbie Basho. Junghans (whose music and research on Robbie Basho has in turn inspired Buck Curran) also maintains the Robbie Basho online archives, a vital resource for All Things Basho. In addition to Junghans, California based veteran guitarist Richard Osborn (a former student of Robbie Basho) contributes a gorgeous original composition. Rich has dedicated his life to exploring and composing raga based guitar music and his playing evokes the pure spirit of his teacher. 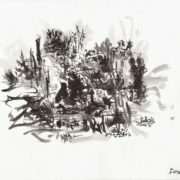 Another return contributor from the first tribute, is American finger-style guitarist Glenn Jones (who was a friend of Basho and also organized his last East Coast American tour) is among the leading proponents in the world today of the American Primitive tradition created by John Fahey. Basket Full of Dragons also features beautiful and inspired contributions by: California based guitarist Chuck Johnson, Buck Curran who is joined by Italian singer Adele H, Syrian based Oud player Tammam Saeed and American drummer/percussionist April Centrone, Italian based guitarist Paolo Novellino, an intimate duet by experimental guitar legend Henry Kaiser and finger-style guitarist Michael Gulezian, Israeli based guitarist-composer Yair Yona, UK based group Twelve Hides featuring guitarist Ben Tweddell, American multi-instrumentalist Mike Tamburo (who contributes a unique original composition on hammered dulcimer) and the Argentinian and UK collaboration of Mariano Rodriguez, Karina Vismara and Jonah Schwartz. Also featured is the young American singer Eva Sheppard joined by her father Jesse Sheppard on 12 string guitar. Eva represents a new generation of singer-musicians who are carrying on Basho’s torch. Robbie Basho’s legacy continues to grow around the World with every year passing, and he now stands alongside John Fahey as a true pioneer of American music. Basket Full of Dragons and We are All One, In the Sun both represent the first tributes (of hopefully many others to follow) that are inspired by his life and music.